"Petals in the Dust shines the light on a very important issue in a clear and sensitive way. Truly a compelling film. Makes it hard to sit still and do nothing." 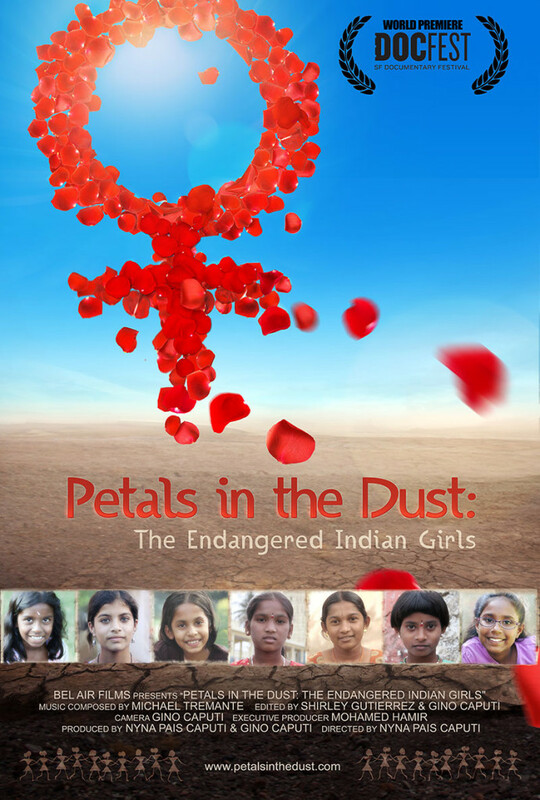 "Petals in the Dust is a breathtaking documentary that sheds light on issues of gender justice, gender-based violence, and female empowerment both in India and within the diaspora. Perhaps most importantly, the film addresses how these issues manifest across socioeconomic lines, avoiding the frequent essentializing of poorer communities as inherently backwards. Hopefully the film will continue to spur much-needed global conversations about supporting women and breaking down patriarchal mindsets." "It was an honor to watch your film. It is moving, sad, powerful and hopeful. The impact of hearing the women tell their stories both well educated and poor women created a powerful moving film." "Petals in the Dust is an extremely powerful documentary film that needs to be seen by people everywhere. Although the film focuses on gender violence in India and the Indian community in North America, watching the film was very emotional for me , as it brought back memories of the domestic violence my mother faced at the hands of my step-father. This film can shed light and create dialogue and action on how we can teach our sons to respect women in their families and communities and what we need to do to end violence against women. All the women in the film were so brave to share their stories and I can watch this film again and again and not tire of it. I encourage everyone to watch this film." "Petals in the Dust is a critically important documentary and a vital contribution to the understanding of the war against women. This is a film that needs to be seen by all people everywhere." "Petals in the Dust is a masterpiece of documentary filmmaking. It is an absolute must-see. It will catalyze and strengthen many more initiatives on behalf of the female gender."